Blogging about my favorite time-consumer - bow making! Just a sample of the great items I'll be giving away at this year's open house! Usually make these without leaves, but doesn't it give it such a realistic flair? This one is layered with a sheer ribbon, and backed up with leaves. Labels: Satin Rosette, spring, What's New? I can hardly believe it, but tomorrow is my last craft fair for the season. I feel like I finally have everything smoothed out and situated just right, and now it's about over. sigh. Osolo Elementary School on the north side of Elkhart is where I'll be. We'll be open from 8-2. This is my favorite craft show - there's nearly 200 vendors, and everything must be handmade! Amazing! Of course, if you can't make it to the craft fairs, you can always call, e-mail or facebook me to order what you need for the holidays. 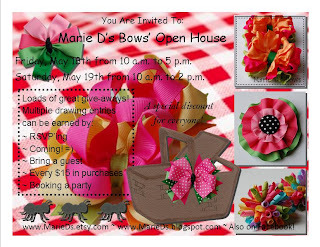 But, I really love seeing my customers - hope to see you there! Labels: craft fair, Felt Flowers, Satin Rosette, What's New? I think I've got it! I'm going to be at the "Winder Wonderland Craft Show and Quarter Auction" in Winona Lake. It will be in the Rodeheaver Auditorium, from 8-3. Winona Lake is a lovely area, so I'm looking forward to it! Here's the give-away basket for tomorrow's craft fair at "the Feast" banquet hall. Just a few miles south of South Bend on the corner of US 31 and SR 4 (Pierce Rd.) From 9-3. Hope to see you there! 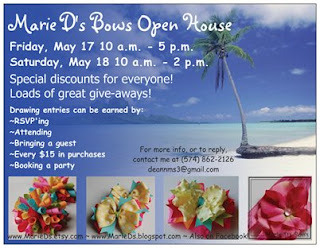 These are the staples, but I will also have plenty of specialty bows too - including some very exciting new items! Labels: craft fair, pinwheel, Rufflie Mini, What's New? Plans for the open house are coming together! The decorations, drawing prizes and fresh products are piling up! I'm getting excited - hope you are too! Be sure to RSVP soon for another drawing entry! March 2013 - Hostess month! April 19-20 - Maple Syrup Festival! 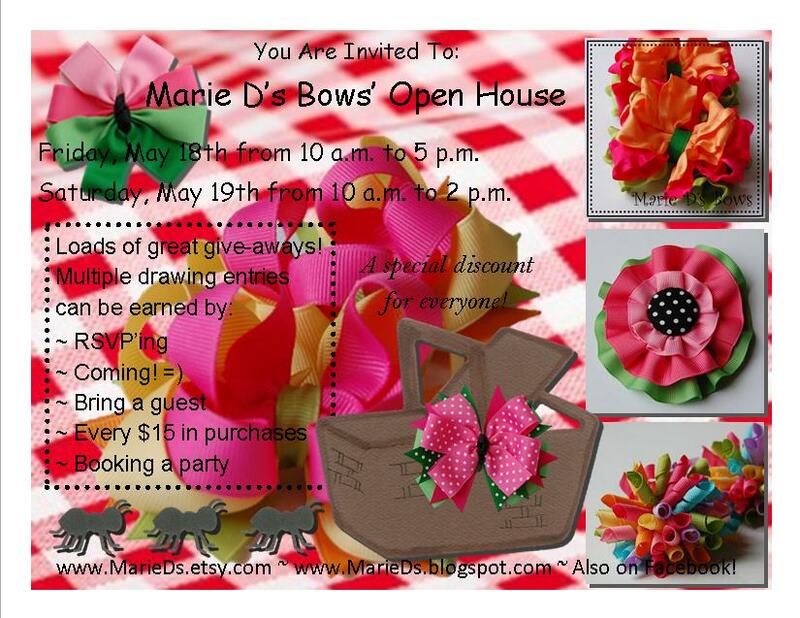 "Like" Marie D's Bows on Facebook! This is my blog about my obsession - bow making. 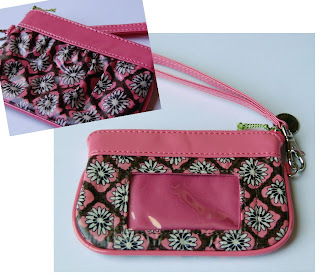 Check here often for an update on new styles, colors I have in stock, or share your thoughts with me! Items are available for purchase too! Also - contact me if you are interested in hosting a party! Can you tell she enjoys this? I'm a stay-at-home mom (is that an oxymoron?) who much prefers to do crafts over housework. I like a clean home too, so I do housework when I can't stand it anymore! =)I love every stage my kids reach, and feel so blessed I can stay home to teach them Biblical values for their lives.